How do I use the Productivity by Matter report? 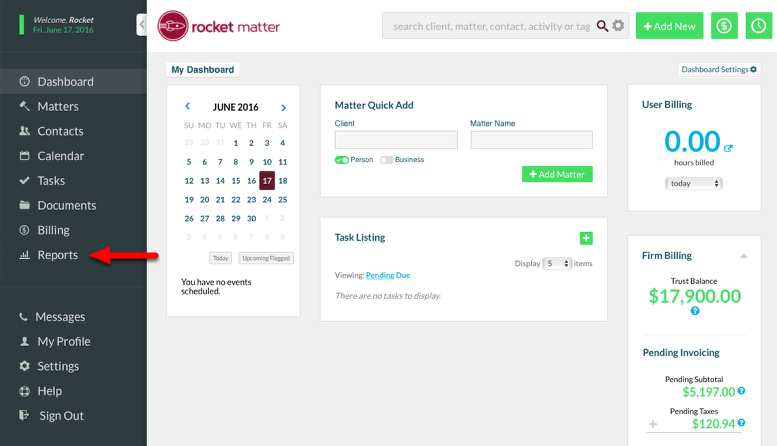 The Productivity per Matter Report is part of Rocket Matter's Advanced Analytics Module. Productivity per Matter helps you understand which of your cases are absorbing the majority of your time by showing you a breakdown of how much time a user bills for and doesn't bill for, and how many fees have been billed for or not billed for. An effective billing rate is also calculated for each user. 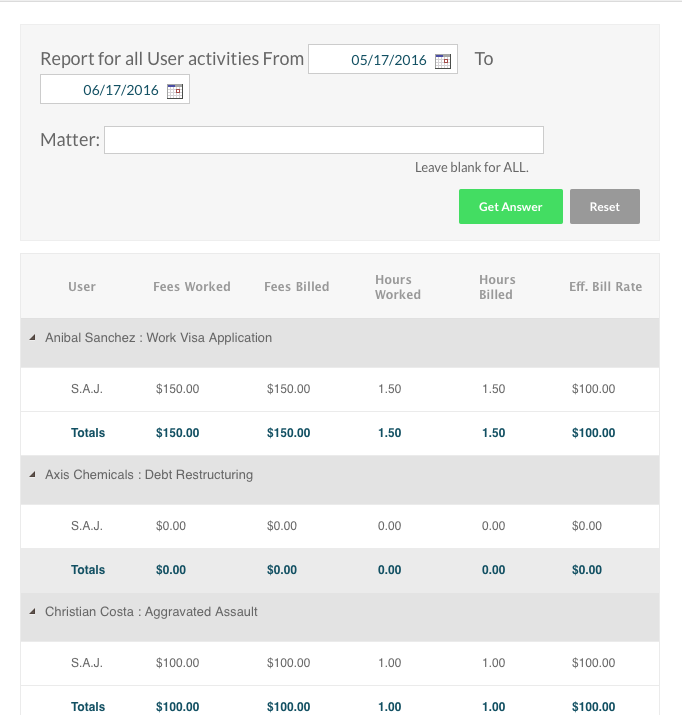 Fees Worked = Amount if the user had billed for billable, non-billable, and no-charge fees. Productivity per Matter details include User, Fees Worked, Fees Billed, Hours Worked, Hours Billed, Effective Billing Rate. Note: This report will not include closed matters. 1. Select "Reports" on the Navigation Panel. 2. 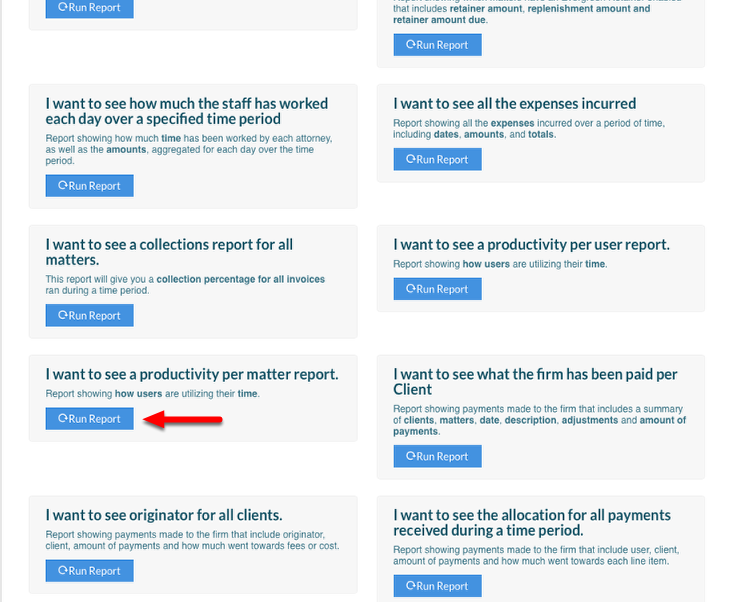 Scroll down to "I want to see a productivity per matter report" and click "Run Report". 3. Select your date range, specify your matter, or leave blank for ALL matters. 5. Review data to assess productivity. 6. Report Summary data includes an average Effective Billing Rate for the matters surveyed, and an "Export" button to export data in .csv format. Productivity per Matter results can be exported in .csv format by selecting the "Export" button.